Real estate is a career path that can provide many employment opportunities. It’s an adaptable role that allows to you the independence to take control of your career and grow it to become more than just a job. 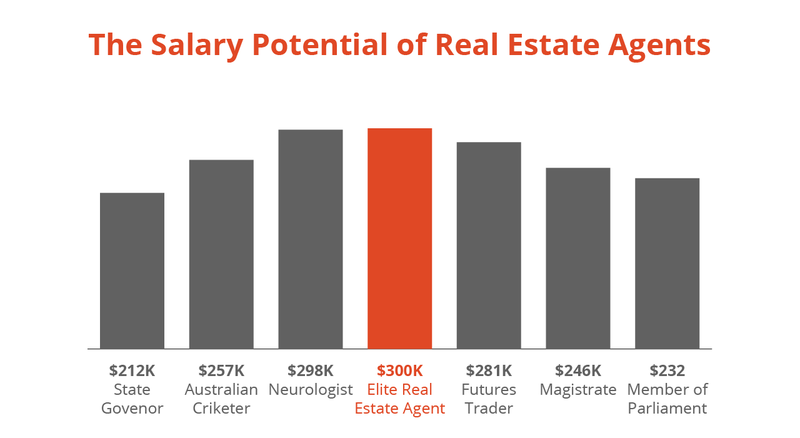 Like any line of work, there are many pros and cons of a career in real estate and while there are many challenges, you’ll also be able to reap its rewards. You’ll have the freedom to make your own decisions and be responsible for your own career progression. Over time, you may even choose to start and build your own real estate agency. Working in real estate will give you the opportunity to work within a fast paced role, meet new and diverse people, and use your interpersonal skills as part of key sales techniques. And because these qualities and skills are gained and not taught, it means that it’s never too late to considering switching career paths to real estate. Your past experience will contribute to your proficiencies as a real estate agent. To become a practising real estate agent in Queensland, you will need a certificate of registration from an accredited training organising. Their registered training courses are generally self-paced and takes approximately 2 days to complete. To complete the real estate course assessment, you must show that you understand key information about the legislative requirements. National Real Estate Learning (NREL.edu.au) is a leading Australian real estate training company that provides nationally recognised courses that are Office of Fair Trading compliant, and registered training organisations (RTO). NREL is an online real estate course and we understand online training may be daunting without face-to-face support, but be reassured as NREL has specifically developed an online resource library to help you every step of the way. Our digital assessing team are also just a click away. NREL delivers online real estate training in Queensland, New South Wales and Victoria. NREL’s online learning platform is a 21st century way of meeting the needs of people who are looking to start a real estate career, or up-skill their current qualifications to further their real estate employment prospects. If you want to run your own real estate agency, you will need a full real estate agent license.